This pair of catcher’s mitts are sourced directly from a member of the Hunter family and were housed in Hunter’s personal footlocker. 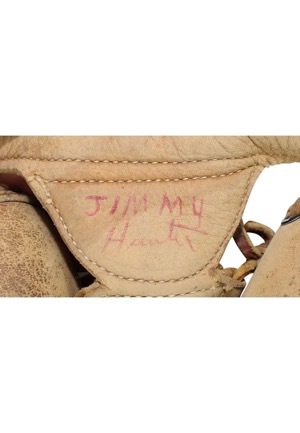 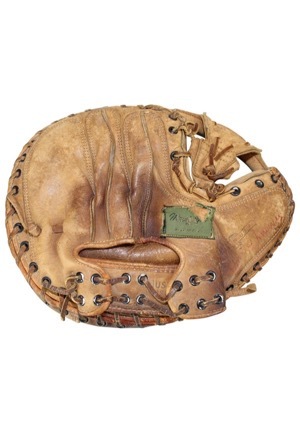 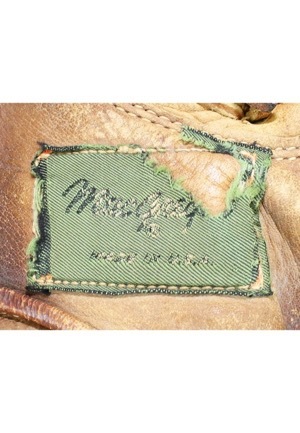 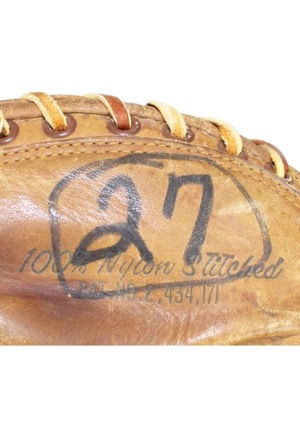 One of these mitts is attributed to catching Catfish Hunter’s perfect game on May 8th, 1968. 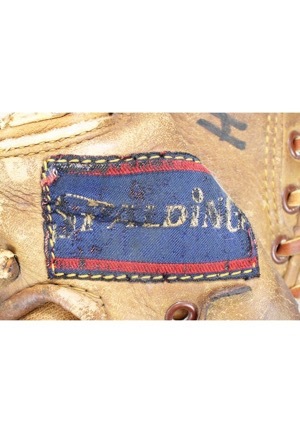 The first glove is Spalding manufactured Jim Pagliaroni 42-585 personal model. 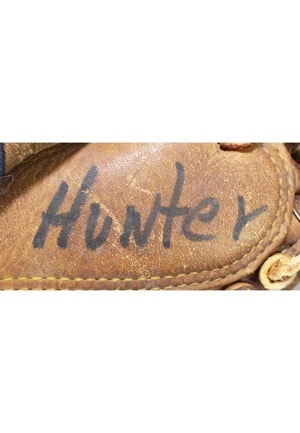 Handwritten on the glove in black marker is “Hunter” and “27” which is surrounded by a circle. 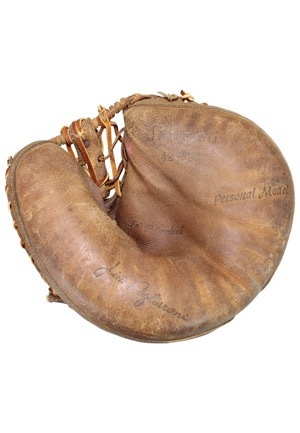 The glove webbing has been partially restrung and shows excellent game use. 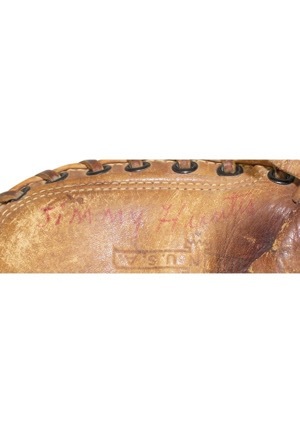 The second glove is a MacGregor manufactured GP10 model and has “Jimmy Hunter” handwritten on the outside thumb in red ink which also shows excellent game use. 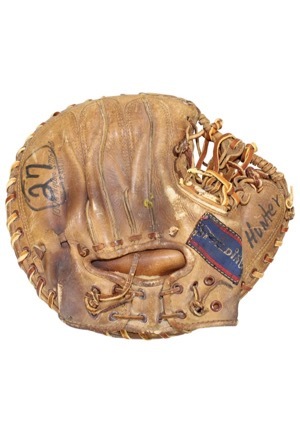 A’s teammate Sal Bando said in an interview that he recalled that Pagliaroni had a specific glove he would maintain on days that he caught Hunter. 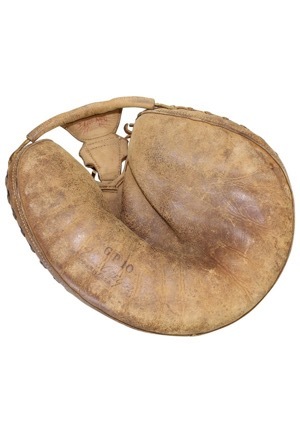 Accompanied by an additional LOA.